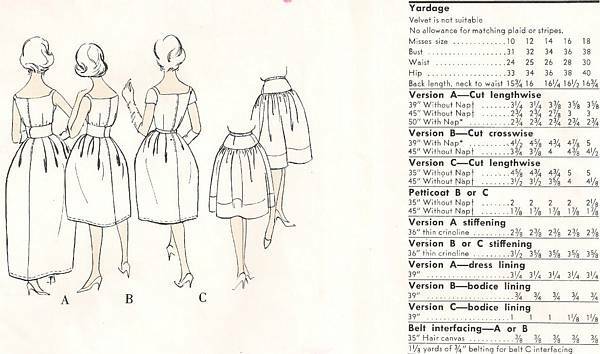 Vintage Vogue Paris Original sewing pattern for evening dress in two lengths and petticoat. Dress has a bell shaped skirt with cut-away front. Shorter length version has front underskirt. Deep front neckline filled in with modesty. Short sleeves or sleeveless with narrow shoulder straps. Gathered petticoat joins hip yoke. Pattern is uncut, complete and in original factory folds. Envelope and contents are in good condition.